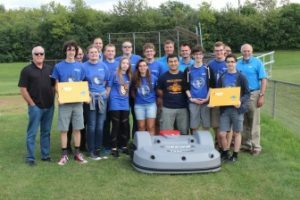 Echo kicked off a robotics-based partnership with Illinois-based Lake Zurich Community Unit School District 95 on Aug. 29. District 95 has agreed to be a test site for Echo’s autonomous mowers, with one unit currently operating on one of the Lake Zurich High School (LZHS) baseball fields. The partnership provides the students with real-world engineering and problem-solving experience while also helping Echo Robotics test and troubleshoot the autonomous mowers before they hit the U.S. market, according to Echo.